Unless you work in a home-office, most of the time spent indoors is actually spent in the bedroom, sleeping. That’s why mold in the bedroom is one of the most problematic, as you breathe in the allergens and toxins over a number of hours. Unlike the kitchen and bathroom, where constant humidity from steam is one of the main causes of mold, bedroom mold can be blamed on condensation and regular humidity (e.g. from weather conditions). In this case, humidity level may not be the same as in the other rooms, but it can nevertheless still cause mold. If you are ready to give your bedroom a mold-check, then you should focus on walls, windows and ceilings first. Along with that, you should check floors, clothes and even plants, if you have them in the bedroom, because mold loves all of these places. 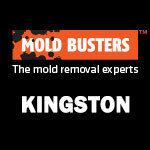 And if you are curious as to what else mold prefers, you should know that mold loves poorly ventilated areas. If you have completed the check and are sure there is no sign of mold, you are in luck. This is the perfect time to take some precautions to help prevent mold from growing in your bedroom. On the other hand, in case you have actually spotted mold – do not panic. 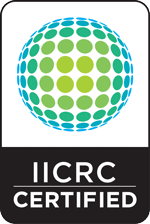 Grab your phone and call professionals to perform all the necessary tests for mold, to confirm your suspicions. Only after the mold test will you know for sure if it is mold and what type you are dealing with. 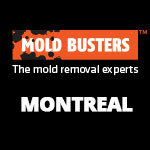 The experts on mold will then advise you on what further steps you can take, and what should be done to remove mold. Sleeping in your bedroom, you spend many hours breathing the indoor air. 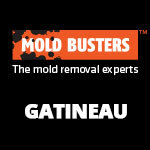 It is therefore important to understand the results of effective mold removal and DIY actions. You can DIY only if mold in case is mildew, which can be confirmed with a mold test. In any other case, it’s best to let the professionals do their job. 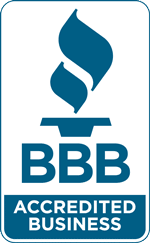 Once your bedroom is cleaned, make sure to prevent any bedroom mold growth in the future. So far we’ve covered most causes of mold, which should leave you with an expert knowledge of the field. But in case you don’t wish to re-read everything from the beginning (which we strongly recommend since the bedroom is one of the least vulnerable rooms in your house), let’s quickly go through the list of prevention measures one more time. Ventilation is key for proper mold prevention. Each morning when you get up, open all the windows in your bedroom and leave them open for at least five minutes. Not only will that decrease the level of humidity, but it will ensure that fresh air replaces the stale “night air”. But in case you live in a highly humid climate (e.g. Florida), simply opening windows wouldn’t do much good. To keep the level of humidity at an optimum, it’s best to rely on dehumidifiers or air conditioners. A regular humidity level test will let you know what you’re dealing with, and whether simply leaving your windows open will suffice, or whether you’ll need something stronger. If there is a carpet in the bedroom, or in any other room for that matter, be aware that no matter how clean they are, carpets are still highly retentive. They are sponges for particles, and you may be breathing in a number of particles that would not exist if the carpets were removed. Getting a particle count from a mold professional, and assessing the condition of the carpets in your indoor environment can be one of the best health investments you make. Since dirt is basically organic food for mold, it’s important to keep your carpet clean to prevent mold from invading. Regular vacuuming, cleaning and ensuring carpets are dry will do the job. Air flow is very important for mold prevention. Bearing that in mind, it’s a good idea to keep your furniture slightly removed from the walls. This creates enough space for fresh air to circulate between the walls and furniture, which will dry up any moisture and prevent mold from developing. Since mold loves dust, you should clean your bedroom furniture regularly to reduce dirt and grime. Use a HEPA vacuum cleaner to remove mold spores from the air. You should be aware that those beautiful plants in your home could be harboring unwanted guests. While plants may be great for keeping the air in the home clean, they can also be a source of mold. Don’t forget that mold loves moisture and organic matter, and that is exactly what plants can provide. Mold can also be found in plant soil, and sometimes even on the leaves. That’s why it is very important to check your plants for signs of mold each time you water them. Take a closer look at the plant soil, and if you see a grayish cover, be warned – mold is already there. The best way to deal with mold on the soil is to scoop it away, throw it out, repot the plant and leave the soil to dry. The simplest things you can do to prevent mold on plants includes adding a natural anti-fungal to the soil, using the right type of soil, watering when needed and keeping the plant clean. You’ve probably realized by now what a power couple mold and moisture make. That is exactly what you should worry about when it comes to mold in the closet and how it can affect not only the clothes inside, but your health too. Since you wear clothes every day, wearing mold-affected ones can lead directly to health issues such as skin allergies. It is therefore very important to prevent mold on your clothes in the first place, in order to prevent any further skin allergies. Mold on clothes is often a result of damp clothes being folded and stored without a proper drying session. With enough moisture and food (from the clothes materials), it’s just a matter of time before your clothes receive unwelcome guests. That’s why it’s very important to ensure that each piece in your wardrobe is well dried before it’s folded and stored in the closet. If the weather permits, dry your clothes outside as much as possible. Fresh air and sunlight are your best weapon against mold in the closet. You should also be aware of mold in out-of-season clothes storage. Storage boxes or bags are often tightly sealed and with just a little bit of moisture, they can turn into a kingdom of mold. Therefore, before you pack everything that you are not going to wear for some time, ensure that it is well dried. A good idea is to leave the clothes outside for a couple of hours, to catch the final rays of sun, and get some fresh air. It is also very important to check if the storage boxes have holes to let some fresh air in. If you are afraid of insects finding their way in, you can add a scented soap bar or small lavender bags which will act as an insect repellent. If you have a dressing room, then you should give it a full check-over for mold at least once a month, which includes checking walls behind the clothes, checking the ceiling and carpet. Ensure that there are no moist spots from a leaky roof, and if you have a window, keep it open as much as possible or install an air vent. In any case, keep the closet clean and avoid overfilling it at all costs. Wipe away any dust, and vacuum regularly, as well as checking the clothes that you do not wear often for any signs of mold. If you notice any signs of mildew or mold, it’s best not to treat it on your own. 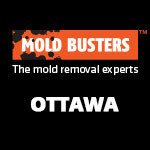 Instead call professionals to test mold (don’t forget it’s not mold until it’s tested). Only after the test results come in will they instruct you which steps you (or they) should take to stop mold from developing, or in the worst case scenario, which steps are necessary to remove mold from your closet.